Insider trading occurs when someone has access to information thats not yet available to the public and uses it to their advantage in order to make a profit or avoid a loss when trading on a regulated market. 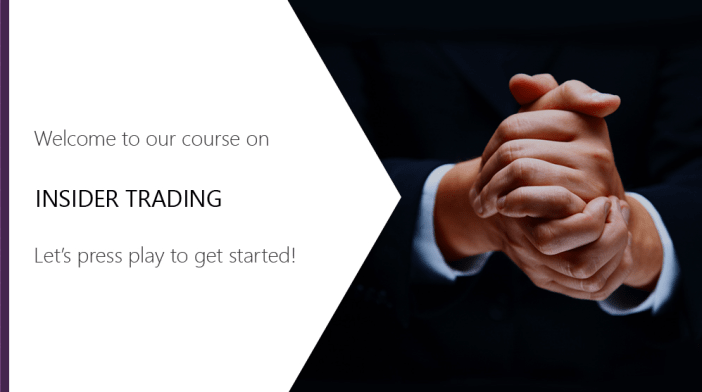 This module explores both legal and illegal insider trading, the law and terminology related to insider trading, the investigative process, the types of insider and the impact their actions can have on an organisation, a market and the economy. Explore insider trading and its implications.